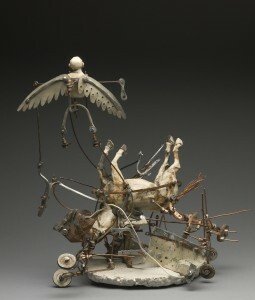 This exhibition comprises sculpture, installation, paintings, drawings, and sketchbooks that chart Aggie Zed's unique working methods in a variety of media. Born in Charleston and raised among farm animals on Sullivan's Island, South Carolina, Zed graduated from the University of South Carolina with a BFA in painting and sculpture. Shortly thereafter, she moved to Richmond and, later, Gordonsville, Virginia, where she lives and works today.